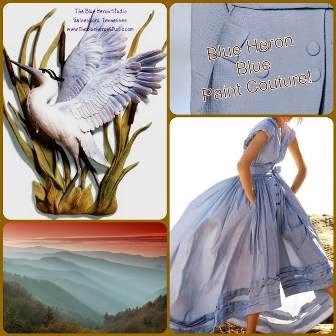 Paint Couture, Glaze Couture, and Finish Couture at The Blue Heron Studio! 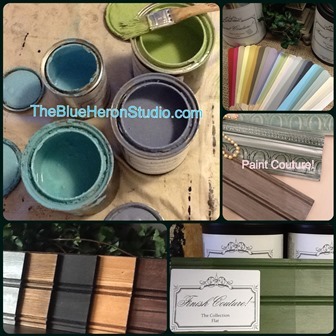 We are so excited to now be distributing this new line of project paint! It features some of the most lovely colors from great fashion design and popular home decor such as Chanel, Dior, and The Great Gatsby. If you have enjoyed using any of the chalk paints such as Annie Sloan or CeCe Caldwell in the past, then you are going to LOVE this new paint. Not only is it more affordable at $29.50 per quart, but you are able to change the looks with the extensive lines of glazes and finishes to achieve exactly that perfect look. You can also use the Miss Mustard Seed finishes over this paint, and you can use the finishes over the Miss Mustard Seed Paint for a very durable finish. 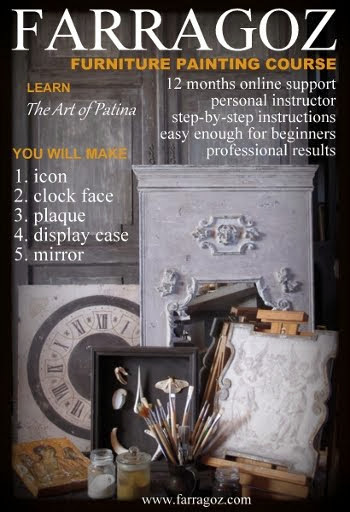 If you are wanting the total dead flat look of chalk paint, then you can still get that with the flat finish, but you will get something more durable which is really desirable for tables, and pieces of furniture that can get some wear on them! For information and to order this exciting new paint, as well as all of the Miss Mustard Seed products, please visit.